Rudolph the red-nosed reindeer is making a comeback – look for him on Hemmeldal! Fixed the issue with pink sambar and rusa deer females in the trophy lodge. Water clues should now spawn correctly for Banteng, Sambar & Rusa deer as well as Water buffalo. Welcome to the status update! It comes slightly belated this week since a lot of things have been happening at and around theHunter, but let’s hope that the old saying about all good things coming to those who wait, is true in this case. We’ve got a bunch of stuff to share with you, so sit back and enjoy. This Thursday we suffered server downtime. The servers were unstable for about 10 hours and the game was to a large extent, unplayable. We did a thorough investigation of what happened and discovered that the culprit was an old piece of code causing certain queries to run for far too long. Luna has now rewritten that code snippet and made sure that this would not happen again. We sincerely apologise for inconvenience and the game disruptions that it caused you! To compensate you for lost membership time, we’ve added 1 extra day to all current memberships. Thank you for your continuous support, in this matter and always! Are you ready for more news about our new reserve? We hope you are, ‘cause we’ve got some and then a little bit more. For one, there seems to have been confusion regarding the actual location, so here’s a reminder. It is inspired by the Australian tropical forest. However, as always with reserves in theHunter Classic, we allow ourselves creative freedom when it comes to flora, terrain, fauna selection and other reserve details, to make sure that the location provides fun and enjoyable gameplay and fits well in the existing theHunter-verse. In this reserve you can expect to see some swamps with the mighty grumpy Water Buffalo splashing in the shallow waters, dense forest areas with Rusa Deer and Banteng, open beach for an occasional skittish Sambar Deer and, to mix up this antler and horn feast, we’ve also added some Feral Hogs for you. 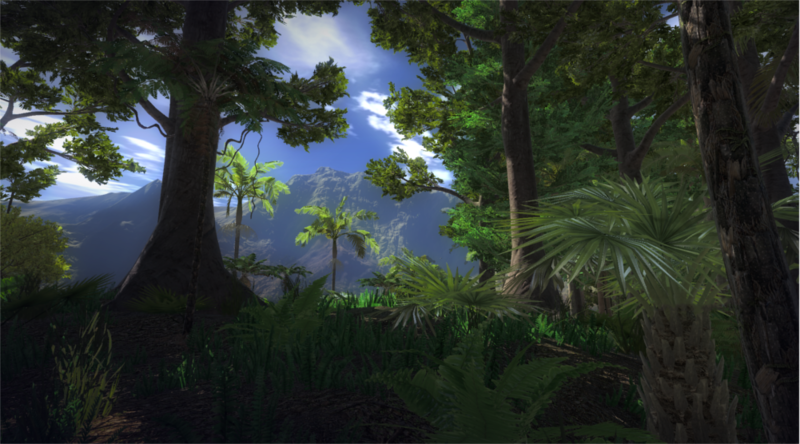 All in all, our intention is to create a location with rather challenging gameplay, due to the thick forest, and an array of unique species to make that challenge gratifying (and worthy of your trophy lodges). You will be our judges on whether we succeeded. In the next status update we will be telling you more about the upcoming animals and the unique features we will be bringing with them. 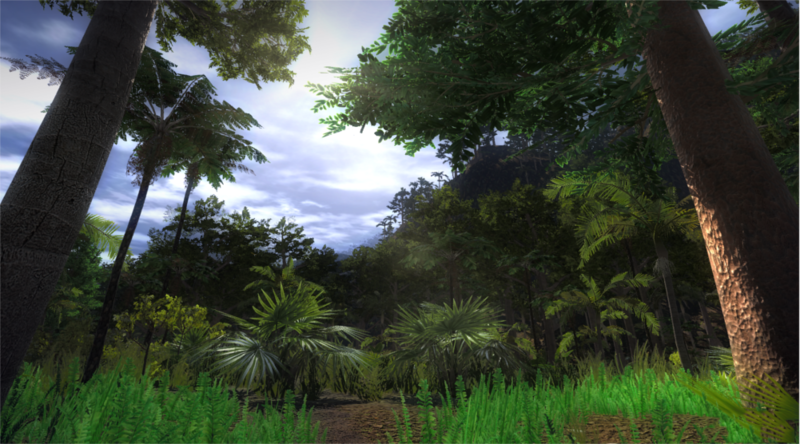 In the meantime, here are a couple of the WIP screenshots of the upcoming reserve. Enjoy! So, there you go, come up with a great name that will go with the existing EHR reserves and represent the uniqueness of the location we showed you in the screenshots. We are looking forward to your suggestions. Please share them in this thread! You might remember that some time ago Doc started clearing up the store of all the items he deemed as “chuff”, and putting them into his Shed. This week he took a stab at the store again and marked a couple of weapons to go there as well. On Monday all weapons and other items with the “Limited” tag will become unavailable and moved away, so grab them beforehand before it’s too late. On a brighter note, following many a community request, we managed to sneak our moustaches and the “Trapper hat – Skunk” out of the Doc’s Shed for a little while. It’s Thanksgiving time and Doc has been in an ok mood these days. It’s holiday season again, and time for all the special fun that comes with it. 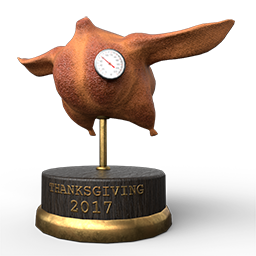 This week we are running a Thanksgiving event with tiered Turkey competitions and missions, together with savoury trophies and yummy sales to go with them. Please note that competitions run until the end of this week and missions will be available until the end of the next one, December 3rd, to give you more time. One of the greatest Thanksgiving attributes – Black Friday sale – is already alive and kicking. We’ve discounted by 20% all items in the store (except for the recently released ones) for one day, until November 25th 11:00 CET, and all memberships and membership bundles (including membership bundles on our Steam store page) until November 27th, 12:00 CET. So, if you’ve been drooling over for that shiny 10GA Shotgun, it’s now or never! And finally, next week it’s happening. Our traditional Holiday Event with festive missions and competitions, trophies and other exciting stuff. Something you can not and should not miss. Truly the highlight of the year in theHunter Classic. Check back on December 1st to learn more about it and kick off your December with some glorious winter hunting! Happy Turkey and bargain hunting! Time for our weekly status update – enjoy! 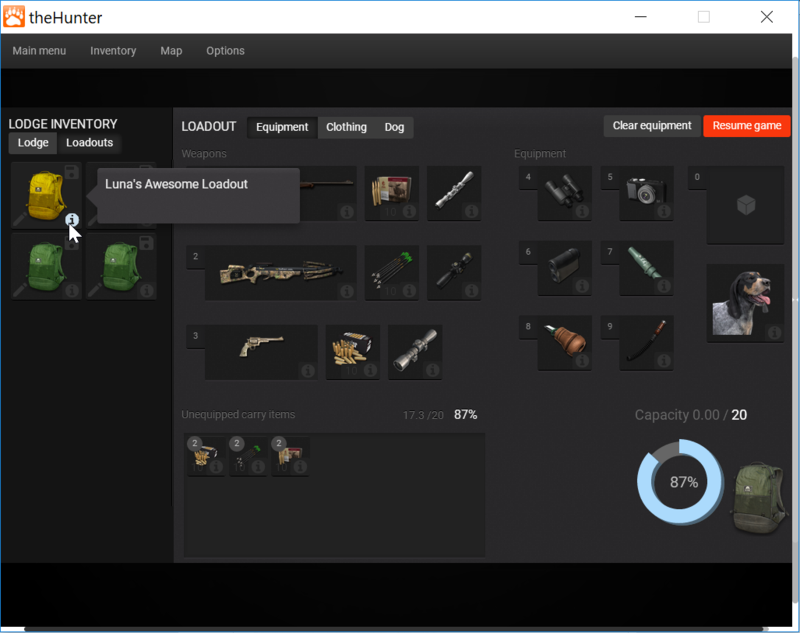 Saved Loadouts are released as a premium feature, since they are not required to play or enjoy the game. You may continue to set up your equipment the gold old-fashioned way, like everyone has been doing for years. But if you are looking to shave some valuable time off your hunt setup and avoid having to check the wiki for camo and permitted ammo lists, then head to the store and purchase yourself some Loadouts. They are available separately or in bundles. For bundles we have introduced a small one, containing 5 Loadouts, and a large one which will be enough to get you covered for all the existing reserves. As promised, today we are also giving 1 free Loadout to all our current members, as a little thank you for your loyalty and support. And more on that topic, we are also giving large bundles of Loadouts to the three winners of the “Share your favourite loadout competition”. Congratulations Askrobert1234, Seifer and J_Birdman! Not only are you the winners, but your winning entries will be added to the store as bundles for the rest of our community to make use of. Thank you! Meet you in the tropics! Since we announced last week that a new reserve is in the works, you kept us busy with your speculations, guesses and ruminations. There have been a few of you that have been absolutely spot on. Very impressive! This post was probably my favourite, since indeed, the 12th reserve in theHunter Classic is inspired by the Australian tropical forest. In the next weeks we will be telling you more about the gameplay details of the new map, as well as, of course, the fauna. In the meantime, who would you like to see which animals will be residing there? We know that a number of players have been experiencing alerts from their anti-virus software following a recent game patch. We are still trying to establish which piece of code is responsible for triggering the alert, and we are also working closely with the relevant anti-virus software developers to ensure this does not happen in the future. In the meantime, please be assured that there is nothing suspicious about any of the executables included in theHunter. This is a false-positive alert that can be safely ignored. With the Personal Bests function on our site undergoing re-evaluation, in case you would like to know what was your best scoring Moose ever, UHC Apps is a fantastic website developed by our community members caledonianblues and Tod1d, dedicated to all things theHunter, with a primary focus on hosting quality community competitions. In addition, the website includes some great tools for displaying theHunter stats, and the most recent addition is a very cool Personal Bests function that allows you to view your best trophies from any season, completely with CSV download for anyone who wants to manipulate the data in Excel or other applications. We encourage you to check it out – please note that you will need to create an account. It’s simple, it’s fast, and it’s free. Welcome to another status update from your favourite game. Share with us your favourite loadout! Another upcoming feature that we revealed last week – Loadouts – is having a nice ride through the testing phase and we are hoping to be able to present it to you very soon. To hype you up a bit, we’ve just launched a community competition, in which you have a chance to win a bundle with 11 upcoming Loadouts, one per each of the existing reserves in the EHR. Pretty sweet deal if you ask me. All you need to do is to share with us your go-to loadout, the first one you will save with the help of the upcoming feature, in this thread. Early next week it’s time for our annual event – Mid-November Madness. Check back on Monday for more details and prepare for some mad hunting to commence! And, of course, in case you missed it, we have a snazzy new firearm in the store – 6.5×55 Bolt Action Rifle Panther – and a matching Power of the Panther competition to kill your weekend successfully! A lot of team news recently, today we have even more of that! 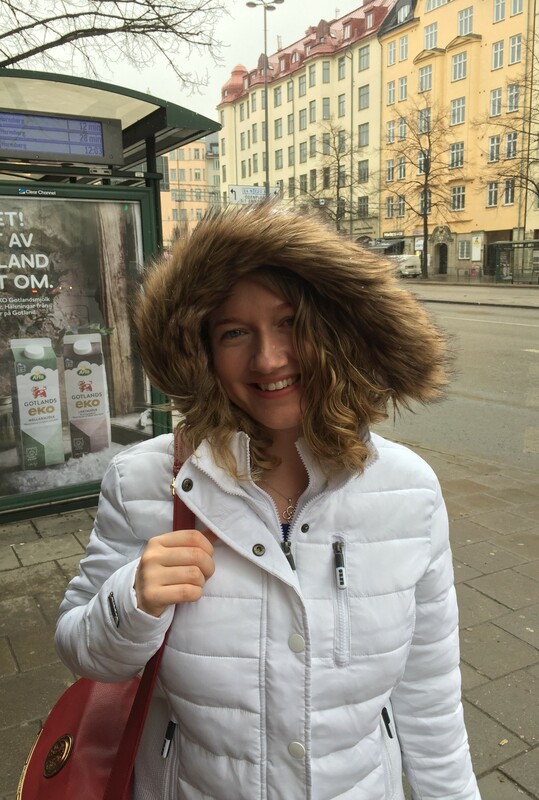 Our Marketing Coordinator Johanna is leaving us for pastures new – good luck Johanna, you shall be missed in our weekly streams! 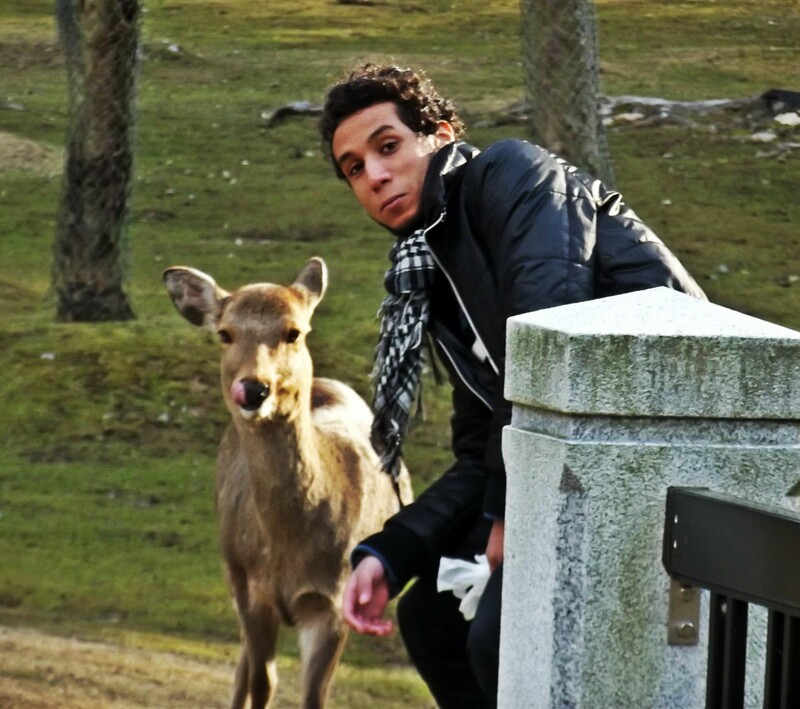 – and we have a new User Acquisition manager Daniel who joined us to help bring more new players to theHunter. You can say goodbye to Johanna in this thread and hello to Daniel in the thread to this status update. 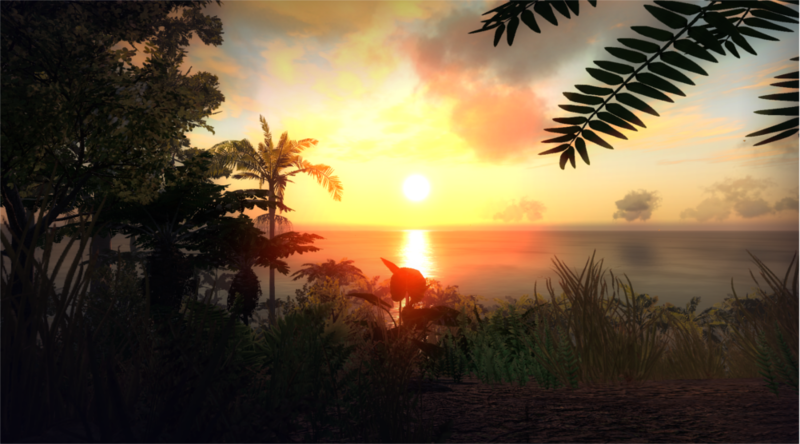 I’m Daniel Reed and I am the new User Acquisition Manager here at Expansive Worlds. Originally from the UK, I’ve been living in Sweden for about 4 years and loving it. Been playing games since I was a kid with games like Cossacks and a random game called Rollcage. Now I play Overwatch about 4 times a week and spend my time looking for new, exciting indie games like Brothers. Looking forward to getting to know you Hunters more! It’s been a crazy Halloween week, with your hunting skills and tenacity being put to the test in the special mission in the spooky Timbergold Trails. 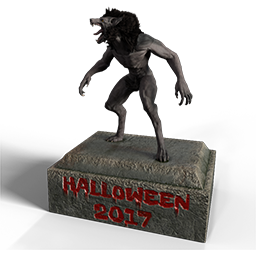 Only 479 hunters completed the whole pack and received the Werewolf trophy and T-shirt, if you are one of them – congratulations, it’s one of the most unique special event awards in theHunter Classic history. As always, we were closely monitoring and discussing your sentiments regarding the event and promise to take it all into account for next year. As I mentioned last time, we will work hard to get a special alloy for silver bullets done and ready for your next werewolf encounters, and – who knows! – maybe you will even be able to put then into your trophy lodges. We will also take into account your feedback about the second mission being too difficult and off-putting. But all in all, the event seems to have been a hit and the team enjoyed reading your comments as much as they enjoyed working on it. Thank you very much! Trophy lodge customization – what do you think? In all of the Halloween hoopla we felt like the new trophy lodge styles and gun racks didn’t receive as much attention as we hoped for, so we are curious whether you tried them out, what you think, what is your favourite one and, of course, whether you have any suggestions for future styles? Those you can share in this thread and even win some em$ if your suggestion catches our attention. More on a production note, the team have been busy with something big that we hopefully will be ready to reveal to you soon. But what we are ready to tell you already today is that we’ve got a new cool feature lined up for you – and believe it or not, it’s one the most requested things in theHunter Classic history, pre-saved inventory loadouts! It hasn’t been the fastest feature for us to develop, that’s why we were keeping it under the radar, but now, as we are moving into testing phase and Martin is busy trying to break it (and Luna is busy fixing what he managed to break) we are finally at the stage when we feel it’s safe to announce it’s coming. On the screenshot below you can see the work in progress – together with the loadouts we are also bringing some delicious freebies, such as searching inventory and stacking duplicate items. Pre-saved inventory loadouts will be available to purchase in the store, and all members will receive one for free at the release date as a thank you for their loyalty and support. And finally, some team news. As I am going on maternity leave at the end of December, we will have a new producer Bethany taking over the development of the game. 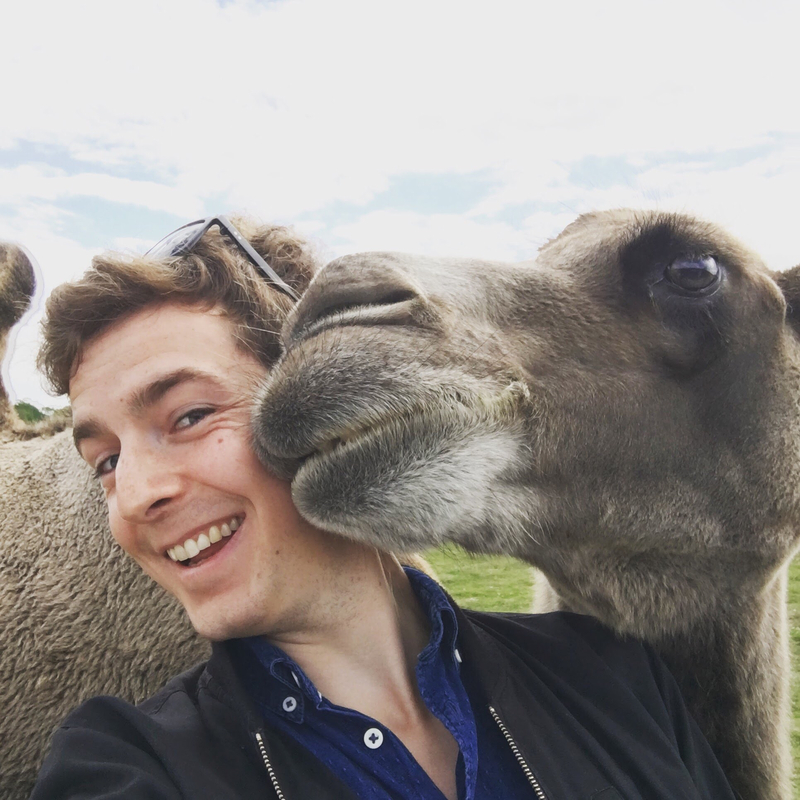 Also, this week we welcomed a new assistant community manager – Mat a.k.a. TreeKiwi. We are super hyped to have Bethany and Mat onboard, please read their intros below and give them both a warm welcome! Hello everyone! My name’s Bethany Ward and I have recently joined the team as Producer for theHunter Classic. I grew up in Australia where I spent most of my time close to the bushland, rainforests, beaches and lakes. I have crossed paths with native animals such as red and grey kangaroos, as well as introduced game such as foxes, rabbits, and deer. Protected species such as koalas and wombats are a rare sight but I have been lucky enough to spot these as well. If you are ever out hiking in the Australian rainforest don’t let the most cheeky of Australian birds, the Lyrebird, fool you! Recently I started a new adventure and crossed the globe to Stockholm to brave the dark winters, surströmming (maybe!? ), and snow jackets. 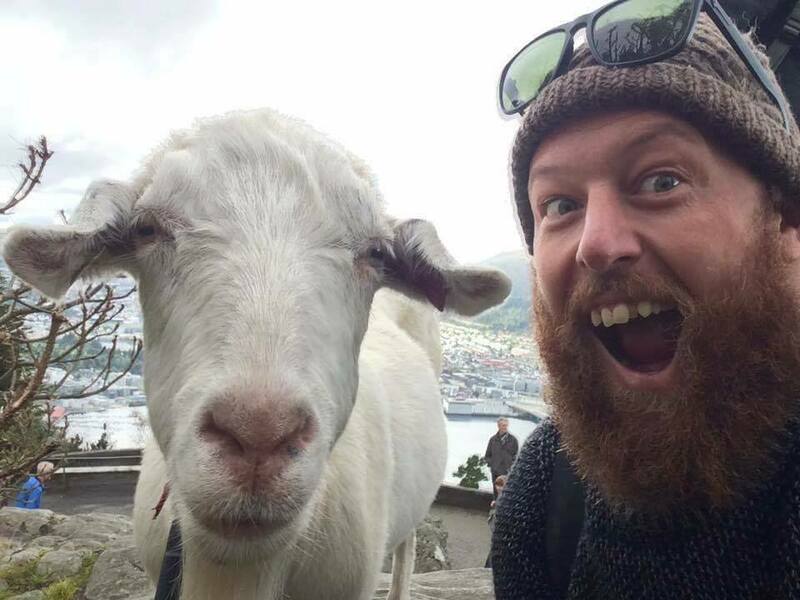 My hobbies include travelling, hiking, and meeting new people. I enjoy videogames of all kinds from realistic open world adventures to indie pixel art gems. I’m very excited to be joining the community and look forward to contributing to the best hunting game out there, theHunter Classic! Well, a lot of you will already know me, but my name’s TreeKiwi or Mat as my parents call me. All my ducks have lined up in a row and I am super excited to be part of the Expansive Worlds team. I will be working alongside Graham and the rest of the team as Associate Community Manager. I grew up in a little rural community on a small farm, so I also hunt in real life. Most of my target species have been Goats, Pigs, Possums and Rabbits. Hunting in New Zealand is different to lots of the world, apart from waterfowl we don’t have any sessions. This is because all the land mammals in NZ are introduced and they have spread like the plague. So we are encouraged to shoot, trap and hunt as many as possible to try give our native forest, birds and reptiles a chance to rehabilitate. I am so excited that I got this job and I hope that I can do the player base proud. I look forward to working with everyone here to keep bringing you the best hunting experience possible. PS: In case you missed it, today we rolled out a pack of Grey Wolf competitions designed by tbug – enjoy! Halloween time in theHunter Classic! And it’s Timbergold Trails that gets haunted and hunted again. For one week we’re turning our glorious reserve into the location of utter scare and goosebumps material. 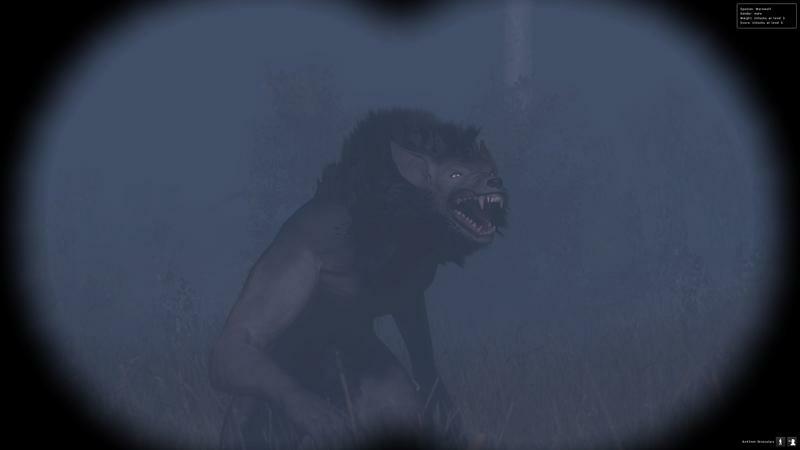 Eerie sounds, howling winds and roaming Werewolves looking for lonely hunters’ souls to feast on. (Alas, we haven’t managed to develop silver bullets in time for this Halloween, so your only way to deal with Werewolf is to RUN! But we are working hard on getting the most powerful alloy in place for the next year.) There is also a mysterious graveyard next to the Everfall Lodge – you might want to check it out, but tread carefully, you never know what those ancient graves are hiding. To start the Halloween action, head to Missions, activate the first one and be prepared for anything. The special mission pack will be active until November 1st and the bravest and most tenacious hunters getting to the end of it will receive a unique Werewolf trophy and a piece of clothing to commemorate their journey. We’ve also prepared some daily sales throughout the whole event – shop and hunt on! When in the middle of the unsettling Halloween missions, you might long for something safe and familiar to calm your nerves a bit, and your good ol’ trophy lodge is the place to turn to. You’ve been asking us for customization opportunities since the day of the release, and today we are thrilled to finally bring it on – unique trophy lodge styles and gun racks! We are starting with six styles, three per trophy lodge layout, and one gun rack option per trophy Lodge layout. If the interest in this feature is big, we won’t be stopping here as we want you to have as much freedom as possible turning your trophy lodge into a unique extension of your hunting self and the place where you feel at home. Before purchasing a style or a gun rack, make sure to carefully read the store description – both types of items are unlocks, which means that once purchased they can be implemented in as many trophy lodges of the particular layout, Classy or Rustic, as you own. Also, customization items for a Classy trophy lodge can not be used in Rustic ones and vice versa. We’ve also put together three bundles for those of you who want to have everything at a good price – Classy one, Rustic one and the Ultimate customization pack, featuring all six styles and both gun racks (please note that the bundles might take a while to appear in the store). Now, get creative with your trophy lodges and make sure to share screenshots of your refurbished hideaways with us! In the five days since the release of our new hunting backpacks we sold over 700 pieces. As promised, we raffled some nice stuff among everyone who bought one, and here are the lucky hunters, congratulations! Now, we are curious to hear what you think of this kind of giveaways and whether you would like to see more similar events with real life hunting clothes and gear. In almost 9 (!) years of its existence, theHunter Classic has been busy producing and accumulating a mind boggling amount of content – reserves, animals, weapons, gear, clothes and whatnot. Our game truly and proudly has the richest, most abundant and diverse content among hunting games out there, which is an incredible achievement in itself. But that does not make our Doc that thrilled. Every time he looks at our bursting to the seams store, we hear him grumbling: “So much for my small and cozy Doc’s Hunting Outfitters!” He has already started putting away special event items, such as Football Jamboree caps and T-shirts, Movember moustaches and more, but now he decided to take a more serious stab at it, to clean up the store and make it easier for players not to get lost in the sheer magnitude of the stuff. All items that are a part of a special event, or promotion, or simply aren’t as popular, will be removed from the store and put away into Doc’s Shed. Once in a blue moon, for a special occasion, if the stars align and Doc’s in a good mood after receiving a particularly sweet private message from some of you, we might persuade him to open up his shed and put some things up for sale again (for example, the Halloween scary pumpkin facepaint will be available to buy for the duration of this Halloween event), but we can never guarantee that this will happen. You will be able to recognize items from Doc’s Shed by the tag “Limited” – if you see it, that item will be disappearing from the store soon. As an example, the Trapper tent we released for Thanksgiving 2014 is going to Doc’s Shed tomorrow, so today would be a good time to grab it if you like that style – luckily, it’s also on sale right now. As you might have seen in the forum, our support champion Adam is taking a farewell from Expansive Worlds. Thank you for all your hard work Adam, you’ve been a good hunter and we shall miss you! Replacing Adam in the noble craft of deleting your duplicate items and investigating any other game problems you might have, is Ahmed, our new Customer Support Manager. Check out his intro below and say hello in the forum! I was born and raised in Egypt until I was seventeen, then started travelling 8 years ago mainly all around Asia, until I landed and settled with the amazing teams of Expansive Worlds and Avalanche Studios. In my free time I could be travelling abroad, hiking or running a Netflix marathon. I enjoy the contrasts of life from lying down in a park watching the clouds in peace; to bungee jumping from a 60-meter stand. You could say I’m mainly interested in everything that is thrilling and adrenaline-rushing (MASSIVE FORMULA ONE FAN). For that reason, I’m very excited to be here and to work on such an amazing game.